Testimonials. Fast screen snap exchange. I mostly participate in projects that require communication with people through the web, and I send them lots of examples of my work. I used to make screenshots, saved them to PC, edit images with Photoshop and only then send them via e-mails. With Jet Screenshot, I can avoid such a waste of time and reach virtually the same goal - sharing an edited screenshot in seconds. I really value Jet Screenshot for the ability to quickly show my friends any stuff I come across. It can be a piece of some serious work or something funny for entertainment. I use it every day. Now it's so easy to share all interesting things I see and then discuss them with my friends. I recommend you give it a try. Excellent program, I use it about 15 times a day. Nothing can match it if you have to show quickly and clearly what you want or what you see on your screen! With Jet Screenshot my phone calls, email and video conferences can now be supplemented with pictures, and this helps a lot! I don't need 1000 words explanations anymore. I make a snap, annotate and share it easily with my co-worker by Yahoo Messenger. I think image collaboration should be easy and take no more than a few seconds to edit and share a captured image with anyone. This is exactly what Jet Screenshot is doing. Try it! Although this is certainly not the best or most feature packed screen shot software I have, it is great for when i am doing tech support and need to take shots and upload quickly. The url to the image is automatically copied to the clipboard for pasting into an IM or email. Very cool. Jet Screenshot has got to be one of the best screenshot capture programs out there. It is not limited to sending the image up to a server. 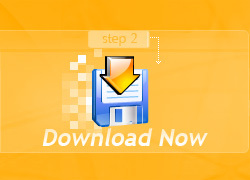 The drop box supplies a number of options that you can do with the file - Share in Web - Share to FTP - Save to File (either jpg or png) - or Copy to Clipboard. The other great feature of the program is the ability to annotate the image with either text or with the multicolor drawing tool, should your image require emphasis in a particular area that you would like to draw attention to. This one should be in everyone's toolbox. That's one of the tools I cannot live without, seriously. I never thought that making a screen shot and sharing it with my friends, colleagues and business associates could be so easy, fast, convenient and effective. I'm using JetScreenshot on a regular basis for a long time, and should say that is a 'must have' tool that everyone should have. Hats off to developers -- please keep up the good work! I create manuals and use a screen capture utility. Have been doing that for years. The problem with the screen capture utility I have been using, you cannot edit your screenshot. With Jet Screenshot, it allows me to easily add annotations, boxes, ovals etc... right in the application. I love this program. Just got it today but I am so excited, I sent the link to 55 more people. Thank you so much for this wonderful utility. Pictures explain so much better than words do when someone is having a tech support issue. I used to have to take a regular printscreen, paste it into Word/Outlook, and then create red circles and lines, then group the entire picture before sending it to illustrate solutions as a tech support rep - it was a pain that took up too much time. Now it is so easy! I really appreciate this freeware. Tell us what do YOU think about Jet Screenshot?